Ladders seem like simple, everyday items but they’re governed by specific and important OSHA rules. Ladders of all kinds have unique OSHA rules. Ladders are a special category among workplace equipment with specific security instructions. On one hand, it’s clear how they can pose a threat to employee health and safety. Improper use of a ladder could lead to falls that cause permanent harm. On the other hand, ladders are so common and mundane that employers may accidentally neglect to treat them with the degree of focus and attention they deserve. Stepladders are used around the house, after all, so workers may believe they don’t need training in how to safely ascend a ladder. If there is an incident involving a ladder in a workplace, however, a lack of preparation and training will be a real liability for the company. There are several Occupational Safety and Health Administration requirements for the appropriate use of ladders, with differing regulations depending on the type and size of equipment involved. Paying attention to these specifications is the responsible way to keep employees safe and limit liability. The following is a quick refresher on some of the OSHA considerations around ladder use. Smaller ladders that support themselves in an A-frame configuration have a unique set of rules associated with their use. OSHA specifies three steps for keeping a stepladder work environment secure: Employers have to plan in advance to ensure the equipment is secure, provide the right assets for the job and train employees in proper procedures. A failure in any of these three areas could lead to a serious injury. Planning ahead means careful and frequent inspections. Even seemingly innocuous items such as paint and stickers can be liabilities if they are covering more serious problems with the stepladders. OSHA specified that this doesn’t include safety info stickers – those are important and should stay put. A messy ladder could also be dangerous, with grease or other contaminating substances leading to a fall. As far as providing the right equipment for the job, carrying capacity is the key statistic to look out for. If workers try to haul loads up ladders that can’t handle the weight, the assets could fail. OSHA notes types of ladders that range from Light Duty to Special Duty, each with its own carrying capacity. When it comes to training, the do’s and don’ts are numerous and varied. From ensuring the ladder is locked in place to ensuring workers don’t take any potentially dangerous shortcuts, OSHA’s list contains plenty of important reminders. The regulations and warnings surrounding extension ladders, also referred to as portable ladders, are similar in form but include different details to account for the ways this equipment is used. The fact that extension ladders don’t support themselves and stand on their own means workers have to find safe places to prop their ladders against. Visual inspections are important, to ensure the ladder is free of obstructions and in good condition. Users also have to ensure they are setting their ladders up at a secure angle and keeping them firmly secured to walls or other structures. Electrical wires and various other environmental hazards can also prove harmful to workers as they ascend. The same three priorities that apply to stepladders also affect extension ladders. Responsible leaders will make sure their equipment is inspected carefully, always provide the right asset for the job and not allow workers to perform their tasks without the proper ladder safety training. Improper ladder use may lead to injuries. Fixed ladders – installations that never move – have their own safety guidelines, including the kinds of security equipment that have to be installed on the ladders to keep users secure. The Michigan Manufacturers Association noted not only does OSHA have a list of guarding devices that must be present on fixed ladders, but also that there are changes coming. While employers today use cages and wells around their ladders of 24 feet and higher, the next 20 years will see the introduction of mandatory personal fall arresting harnesses for these pieces of equipment. Existing assets can have cages or wells grandfathered in for decades after the rule passes, but companies erecting new fixed ladders as of late 2018 and beyond will have to work with new and more advanced safety tools. Faced with regulations that differ based on ladder size and type, and that may potentially change over the years, the need for training and professional education is clear. While employees may feel that ladders are simple to use and don’t require extra training, the various OSHA rules give leaders plenty to think about. Not only do the people climbing the ladders need to follow specific procedures, but workers also have to select the right asset for the job and ensure its safety and integrity. Fortunately, there are plenty of relevant courses on ladder safety to ensure companies don’t find themselves out of compliance with OSHA’s regulations. 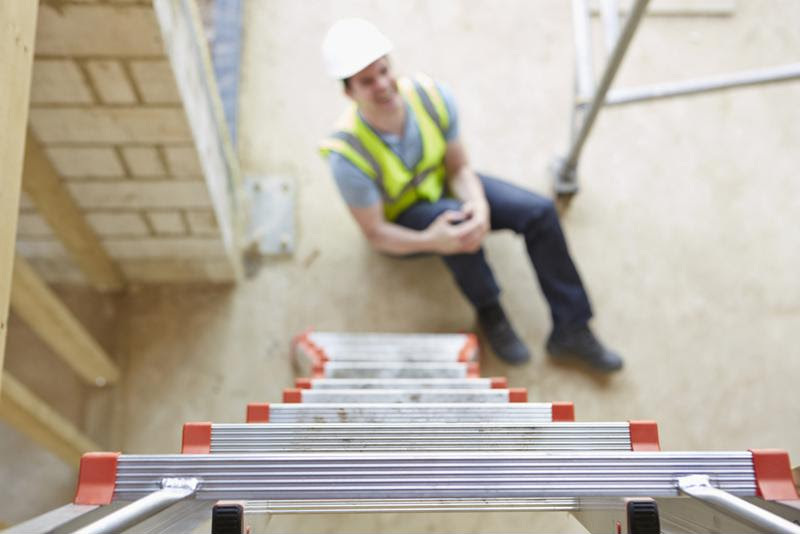 These courses can prevent the liability of improper ladder use, and the practices they impart could even stop mistakes that lead to serious worker injuries. This entry was posted in OSHA and tagged employee health and wellness, ladder safety, OSHA, safety. Bookmark the permalink.